Yield: Makes one cup of roasted sunflower seeds. If you grow your own sunflowers, the flowers will tell you when they are ready. They'll be droopy, and the petals around the center will be dried. The seeds should be clearly visible. 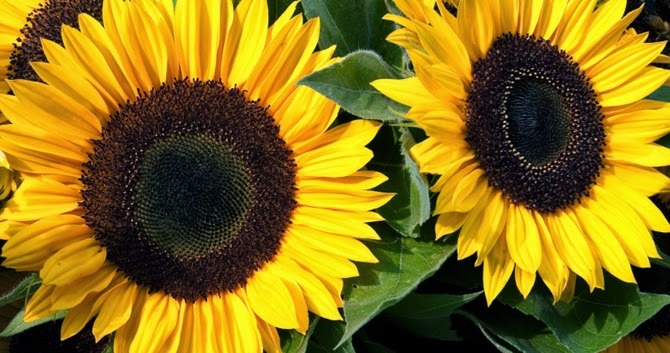 The best seeds for eating come from the larger varieties of sunflowers. Just cut away the flower head from the stalk, place the flower head on a flat surface, and rub the center to dislodge the seeds from the flower. 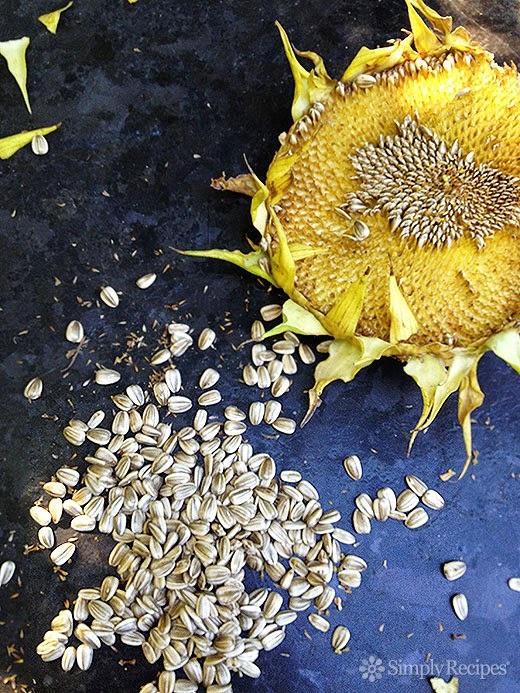 If squirrels and birds can get to these seeds, so can you! These directions are for salted, roasted sunflower seeds. If you don't want them salted, just rinse them off and roast them. Because they aren't soaked through with water, they'll roast much more quickly, perhaps only a few minutes at 400°F. * Add more or less salt to taste, up to 1/4 cup Kosher salt for 1 quart of water. Jerome County Fair parade float!